The number of disconnected youth in a community is a good indicator of how that community is preparing its youth for a transition to adulthood. Disconnected youth often are not able to build their toolkit of skills for employment and often do not have the adequate social capital to fall back on in crisis situations. Because of these trends, disconnected youth are at a higher risk of experiencing homelessness or participating in criminal activity. 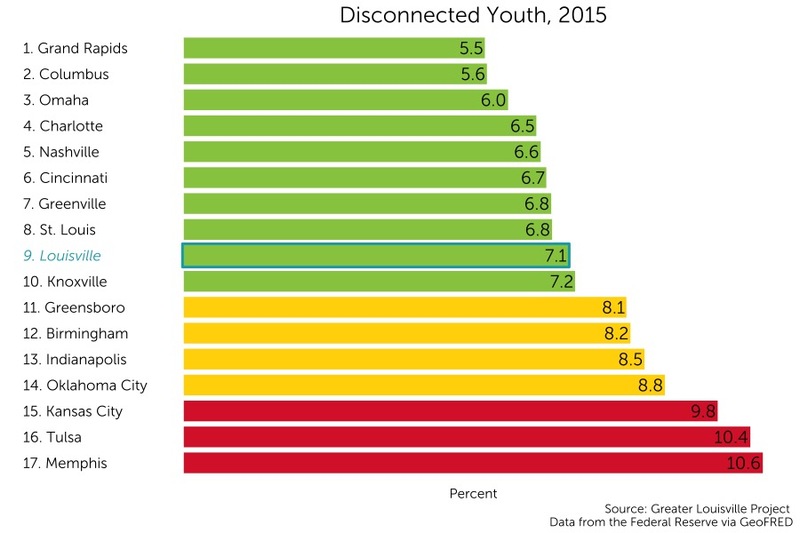 Louisville currently ranks 9th among its peers in rates of disconnected youth with a rate of 7.1%. A young person aged 16 to 24 is considered disconnected if they are neither working nor in school. Louisville ranks among the top tier of its peer cities on this metric according to a natural breaks algorithm. Cities in green are those that outperform their peers, cities in yellow represent the middle cluster, and those in red are a group that lags behind its peers on this indicator. The rate of disconnected youth in Louisville has been rapidly decreasing relative to its peers since it reached a maximum in 2012. 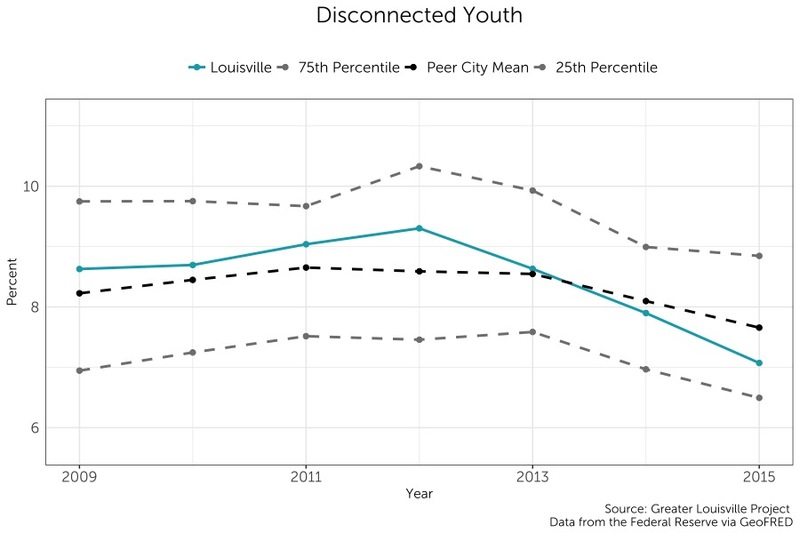 Louisville has reduced its rate of disconnected youth from above its peer city average in 2012 to below its peer city average in 2015.